We have a new finding aid up on the web site. It’s for the Carl Jacobi Collection (PCL MS-68). 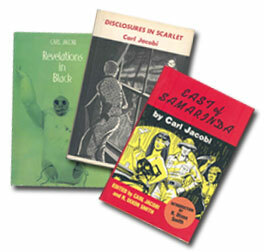 Mr. Jacobi was a notable author of horror, fantasy, science, and adventure fiction. The finding aid is located at: http://www.bgsu.edu/colleges/library/pcl/pclms68.html. Try this search to find books Mr. Jacobi wrote in the University Libraries.